July 4th, American National Day … it was last month … but here at SOLUTECH we could say that we will be in American mode all week and for good reason! There are these solutions that sometimes lead our American cousins ​​directly HERE in Richmond, because HERE is where solutions (sometimes the most unlikely) exist! So our American week will welcome new customers, their technicians, from everywhere to adapt to their system before they are dismantled to go to their US states where they will be installed. These are leaders and technicians from Arizona … where will be installed a system suitable for the mattress packaging. 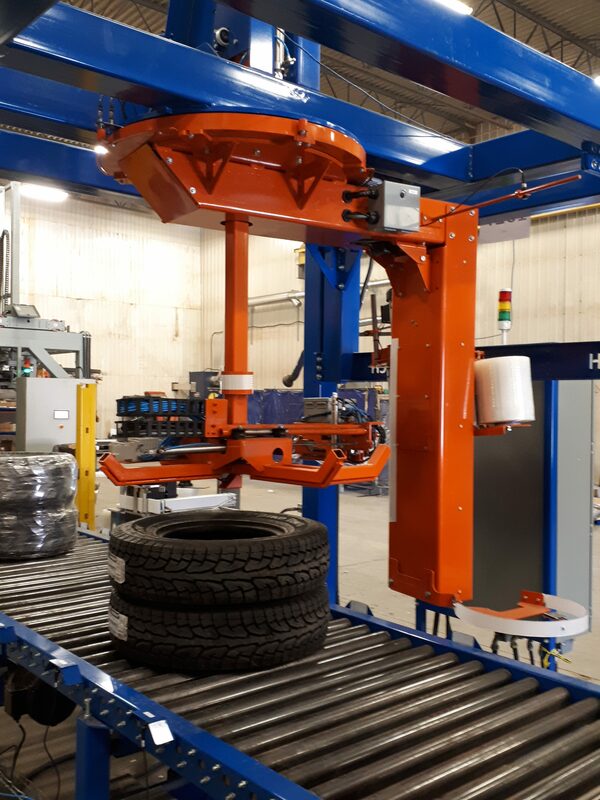 Also managing parteners from California and Philadelphia where will be installed a system that will allow the packaging of tires. 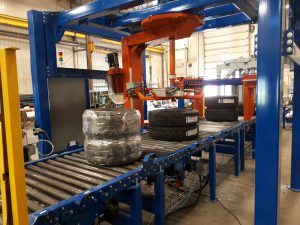 This new way of packing the tires obviously allows, like all systems, to act on the amount of manpower needed … but also to ensure the quality of the delivery of the goods to destination. We know that nowadays warehouses all over the United States supply the goods directly to the user, often ordered by catalog from the manufacturer … so transport and transfers represent a large part of the work. This is why adequate packaging is necessary. But beware ….. to achieve it, engineering & innovation is essential! 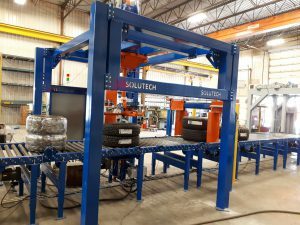 But Solutech found THE solution. Thanks for your confidence, even before knowing if we would be your next manufacturing supplier, you invited us to Philadelphia so that we could propose the custom solution. So Arizona, California, Philadelphia, WELCOME TO SOLUTECH!